This is a great opening to a new series from author Erin Nicholas. This is a short story and leaves things open to the next book in the series. I wouldn't say it has a cliff-hanger, just that you know there is more to come. And be warned you'll be eager to read that More. This is a HOT series opener and one you'll want to pick up today! 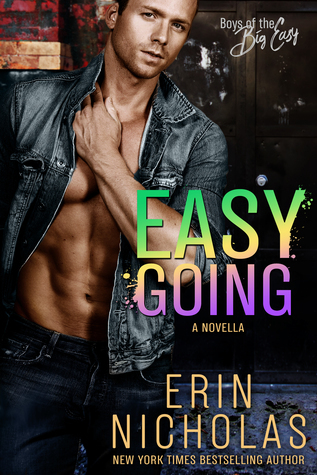 Sign into Goodreads to see if any of your friends have read Easy Going.